Another Etsy score! Do you photograph children a lot? Want something that will intrigue them and make it a little easier to get them to look at the camera? I am always chasing after my son and I can see how this would attract children’s attention! I love creativity! 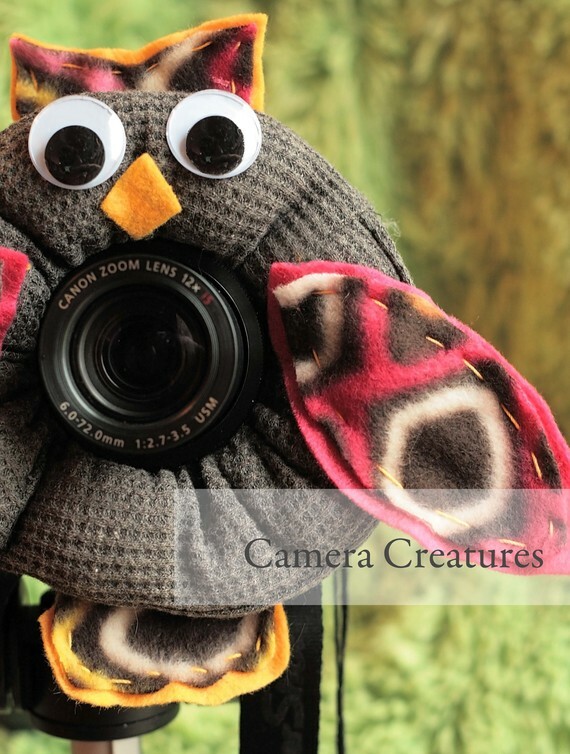 Camera Creatures on Etsy makes different animals to wrap around you lens for $12.00. I personally have a thing for owls at the moment so this one caught my eye right away. Another neat feature is that for an extra $2.00 they will put a squeaker in it! If this sounds like something you would like to try out for yourself then check out Camera Creatures on Etsy for yourself.